The Santa Monica Mountains foothills that surround CI are home to a Chaparral plant community known to botanists as Coastal Sage Scrub. In surveys of these habitats that began in Februrary 2003, we have identified over 125 species in the native flora. The Plant Index link (to the left) leads to links for the native plants so far encountered in the survey. New accounts and information are added regularly. 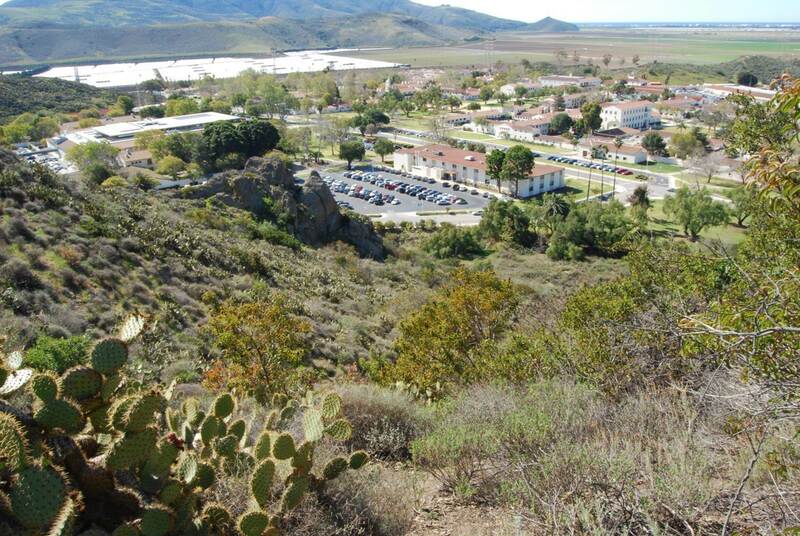 Unless otherwise noted, all photographs presented on these pages were taken by Steven Mark Norris, and all plants and habitat are from the hills surrounding the CI campus, University Glen and University Park (formerly known as Camarillo Park). As plants were observed, photographed and collected on CI habitats, they were initially identified using regional field guides. The relatively non-technical McAuley (1996) and Dale (2000) were the primary resources here. Some species are distinctive enough that use of general field guides is more than sufficient for a reliable determinations. Working within a narrow geographic range also helps. However, identification with certainty of some species, varieties or subspecies requires application of the more technical botanical literature, such as Collins (2000) and The Jepson Manual (Baldwin et al., 2012) . Most of the plant identifications presented on this site have not (yet) been rigorously checked with experts or botanical keys. It is expected that some identifications may change as we delve deeper into the flora, and confirm identifications with specimens that have been collected in the course of this survey. Assistance in plant identification and other input on southern California botany has come from Steve Junak (Santa Barbara Botanic Garden), Mark Elvin (U.S. Fish and Wildlife Service), David Magney (David Magney Environmental Consulting) and Tarja Sagar (National Park Service). However, any mis-identifications or other errors belong to SMN and will be corrected as they are brought to light. Fire is a natural part of Chaparral biology. 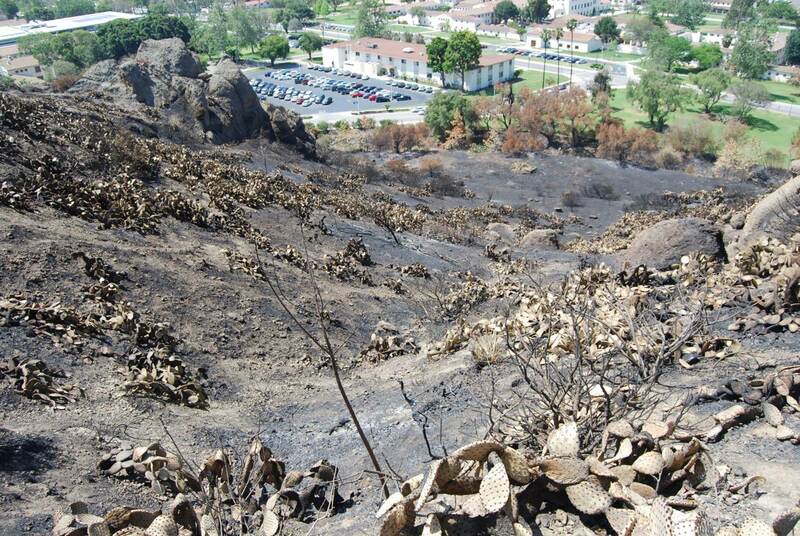 This fire resulted in a nearly complete loss of above ground plant biomass. However, seeds have survived in the soil, as have many root stocks or rhizomes. The plant communities and the animals that depend on them will recover from this event. In time, the plant community will reform itself, through a process known as Ecological Succession. Among the first new growth apparent will be pioneer species that specialize in exploiting disturbed habitats. This guild of species will likely be quite different than those of mature pre-fire flora.